Team Pest Australia has been offers top industry leading treatment methods for destroy and pest control in Brisbane since 2009. We pride ourselves on our status as “Brisbane’s Pest Control Team”. At Impressive Pest Control, we strive to offer the best products and procedures to sav your home and business, at a affortable price. With our service satisfaction guarantee, you the consumer always know that you are getting the best value for your money. Our Pest Controllers in Brisbane are specialised in all types of pest and bug control, including Cockroach control, Spider Control, Rat Control, WAPS Control etc. We use the latest science and technology to test new and innovated products so we can protect your home and office with an effective plan suited to your specific needs. 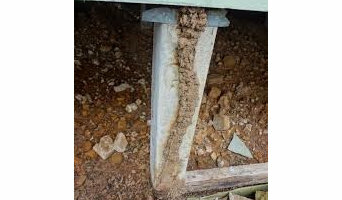 Call us at: 1800 033 756 Termites Control Brisbane Termites are always on the move and enjoy warm weather and humidity. Pests are the most raising issues in both of the residential and commercial property. Fast Pest Control - Pest Control in Brisbane offers you the best solution for the problems related to all type of pests including Ant- Termite Treatments. We offer an effectual control measure services to our consumers. For example Rodents are very well adjusted with the living or in close proximity to humans. Rodents along with their parasites share our home, food and our immediate surroundings. They Also hide themselves in the furniture including, beds and mattresses etc. where we relax, sleep and stores many things like food, clothes materials etc. We don't realize that they are around us. Obviously they are the main and the biggest reason of health problems. We at Fast Pest Control are a leading company in the Brisbane and surrounding areas, known for our quick response and thorough work. Our licensed and insured team is fully trained and experienced in an assortment of extermination and elimination techniques. We pay attention to the details to thoroughly rid your home of pests and ensure the problem doesn't come back. We have experience with all pests we can help you with any problem that you can think of. We provide pest control services in whole Brisbane and surrounding areas So if you want to get rid of these unwanted pests than call 1800 339 712. 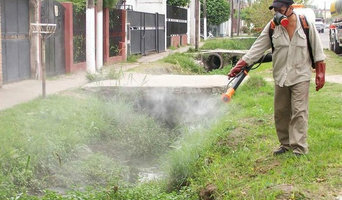 Our Pest Control Services •Mosquito pest control, Wasp pest control, •Pest control spiders, Fly pest control •Wasp nest removal, flea control •Pest Eradication and Pest guard •Seasonal Pest Control Pests can cause nuisances and health issues, but if you treat the property with pest control Brisbane products, the chemicals can be even more dangerous to human health. The best way to deal with pests in restaurants is by hiring a professional pest control service such as Fast Pest Control Termite Solutions to deal with the pest problem. We can detect the sources and entrance points of pests right away. 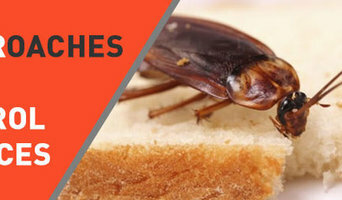 We provide our customer's services like Cockroaches Control, Ants Control, Silverfish Control, Moths Control, Bed Bugs Control, Bees Control, Wasps Control, Fleas Control, Rats Control, Mice Control, Spiders Control. So call us 1800 339 712 today and book your booking. PestGuard Termite and Pest Control, Central Coast, is an unprecedented, forward thinking pest control company that specializes in providing very safe and effective termite and pest control solutions to home and business owners in NSW. We're a local family owned and operated company. Our pest technicians have a combined experience of over 40 years in the Mackay pest control industry as leading termite & pest control specialists. With this knowledge and expertise of Mackay's seasonal pests, you can trust that we will manage your termite or pest problem quickly and effectively in a manner that is safe and affordable for your family. Protect your valuables at home or commercial from pest attacks, by the certified and reliable company team of pests controllers called Mark's Pest Control. We have experiences in controlling pests for more than 10 years. We use dedicated pesticides for the different pests which kill them effectively and stop the generation of their population. We have services like Cockroaches Control as well as Rodents Control. Our professionals have the best equipment and dress which protect them from the pests while at your service. Use of modern techniques and pesticides completely remove their population. We are open 24*7 and available with our services in all regions of Brisbane. 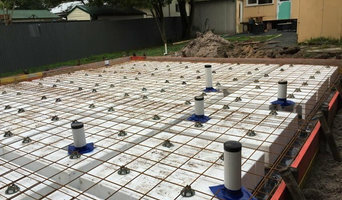 You can hire our services by calling on 0433791074 or book online. Pest Control Brisbane!!! Same Day Pest Control is an approved and recognized company in the pest control industry. We at Same Day Pest Control Company offer Spider Control, Bed Bug Control and more pest control services at a reasonable price. We have years of expertise in our field. We can control pest infestation professionally. Our pest controllers are experienced and try to give full satisfaction with our professional work. Our service charges are also affordable. You can easily hire our pest controllers at the lowest price. We know the latest method and procedure to remove all types of pest infestation. Call us on +61 414 530 372 and get best services according to your convenience. Sparkling Cleaning Service is the best in the field of pest control. Our special attention to customer needs to free your house from all kinds of pest. So get our service of Spider Control, Bed Bug Control etc. in Brisbane and relieve yourself. 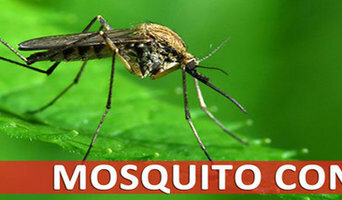 Our company has a big name than all the other companies in the field of Pest Control Brisbane. Our seven-day service and online customer support are always open to your help. We have been in this work for several years, and our work will match up with our experience which will be revealed by the finish of the work. Call us on +61 414 530 372 and get best services according to your convenience. At Pest Destroy we offer best pest control services at your house with trustworthy methods. We are providing Spider Control, Bed Bug Control services at a cost which you can easily afford. We provide only professional and promised pest control services. We have experienced technicians who have years of experience in this field. We exactly know how to remove all kinds of pest infestation carefully. We provide our services on weekends as well and we never disappoint our customers and by using the best methods and appliances we remove pests on the spot. You can call us on the number 0414 530 372 now or you can contact us online. We are available on weekends as well. Protecting your home from pests can be a challenge, especially in Brisbane. My Home Pest Control has been offering Brisbane residents with greater pest control services for more than 20 years. We offer a variety of inside and outside pest control solutions for seasonal pests, rodent control, termite control, bedbugs, ticks, fleas and more. We offer a wide range of services to cover all your pest control problems. My Home Pest Control Provide specialized pest & termite control, lawn care, rodent control & more. Call today for your same day free inspection! My Home Pest control is 24×7 available at your services. Pests can be removed in a variety of ways, depending on the type and severity of the infestation. Professionals may use baits, some of which have a lethal effect and spread to the entire population, or dust, which can get into hard-to-reach places where pests breed. Other alternatives are liquid insecticide sprays and gels. Safety and effectiveness of advised methods are usually discussed during the initial pest inspection. Find pest control services on Houzz. Scroll through this page to find an exterminator, fumigator or termite treatment expert in your area. You can read reviews to see how other homeowners rate their work, and contact businesses directly.